There are many types of 55 communities in the Tampa area. This area has long been one of the most popular retirement places due to it's subtropical climate, beautiful beaches and health-oriented culture full of opportunities for outdoor physical activity. You can also find many heated indoor pools open all year. The urban areas can be traffic congested but offer something for everyone. The Tampa area has great advantages that attract retirees such as warm climate, open air food markets, and water sports. Tampa, the largest city in the area, used to be dominated by a senior population but not anymore. New businesses and industry have made it an attraction for all ages. Also see West Coast Florida for other counties on Florida's west coast. New Valencia del Sol - Waumama - As Valencia Lakes is nearly sold out, this community by GL Homes in this area is arriving. In fact, the sales office will be the Valencia Lakes sales office. Single homes and twin homes starting in mid-$200's. Large clubhouse and many amenities. 5006 Stone Harbor Circle - Office open Daily from 9AM - 813-634-8100. Twin villas priced in low $200's - Single homes priced from upper $200's - Resort-styled amenities include too many to list. Some unique ones are the dog park with agility training and RV and boat parking (verify if available.) Also mentioned: sauna and steam (verify). Many luxury interior features are standard. 24-hour manned gate (verify) at stunning entry. Nearing sell-out. Medley at Southshore Bay - Waumama - By Lennar - Pricing from $300's. Single and villa homes. Featuring a Crystal Lagoon, a popular clean water concept for resort activities. 16875 Scuba Crest St.
Sun City Center has been around awhile but some of its new and upgraded services are very impressive and worth giving a "shout out" to. The Good Samaritan services include ambulance to doctor's appointments (with specified notice requirements), coordination of Meals on Wheels and have an Alzheimer's support group and respite program. Read more about Good Samaritan programs at Sun City. Verify all information. New Visitor Center in a more convenient location and tours are conducted by homeowners instead of real estate agents. Multi-club building including Photo club amenities. Sun City Center (Homeowners) Price-$ to $$$, Size-Large - Very large golf course community with lots of amenities - was formerly owned by Del Webb. See Oakley Greens attached villa homes among their new 18-hole Scepter golfcourse. Many pricing options. Here is a good chart showing the differences between them to help you decide Kings Point VS Sun City (please verify all information--we are not responsible for 3rd party info since it may be inaccurate or out-of-date). Aston Gardens at Sun City - Enjoy all the amenities of resort-style living in Sun City in these independent living apartment homes. Amenities include housekeeping, concierge, clubhouse, pool, activities and more. 1311 Aston Gardens Court, Sun City Center. Gated enclave of paired villas from upper $100's and singles from $200's. Southshore Falls by Del Webb - Price-$ - Size-Medium - by Del Webb - Tampa Bay area - Villas started $170's - There are also single family homes (please verify). Lagoon-styled pools - Gated. Convenient to shopping, dining and healthcare facilities. Resales. High population of seniors over 65 at approx. 20%. Belleair Towers in Clearwater Apartment Homes with services by Holiday Touch - owns and operates hundreds of retirement communities throughout U.S and 18 in Florida. If you are looking for a quieter area, then check out Dunedin. It is near the Gulf of Mexico for fishing and boating. One of its features is the Pinellas bike and hiking trail that runs through it. This is a 45-mile long bike trail from St. Petersburg up to Tarpon Springs (Fred Marquis Pinellas Trail). Similar cities near Dunedin are Palm Harbor and Tarpon Springs. Edgewater Arms - Edgewater Drive - Older (1970's) highrise condos on water. Close to downtown and marina. Resales. Heather Hill Apts - Patricia Ave and DeSoto Drive - single-story condos - resales under $100,000. Seminole Square Condos - Resale garden-style condos priced under $100,000. Built in 70's. 25 miles to Tampa. 10 minutes to beaches. Check with Realtors. 11720 Park Blvd., Seminole, Pinellas County. The builder, Lennar, has new technology features in their homes such as smart homes options and faster internet speeds (verify). Three collections: The Estates, The Manors and The Villas. Tampa Bay Golf and Country Club by Lennar at San Antonio, Florida by Lennar. 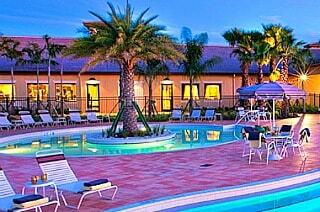 20 minutes to Tampa - great amenities include golf. 3 communities started mid $100's. Sold out. 10573 Belmullet Drive - San Antonio, Fl. Tampa Bay Golf and Country Club homes by K Hovnanian Homes San Antonio off I-75 - Pasco County - Eleven 2 and 3-bedroom designs - great amenities include golf, clubhouse, restaurant and bar, dog park - from upper $100's. Energy Star certified. Timber Greens Country club lifestyle - 783 single homes and villas in Pasco County - Clubhouse, pool, activities including 18-hole golf and tennis courts. 6333 Timber Greens Boulevard - New Port Richey, FL. Resales only. 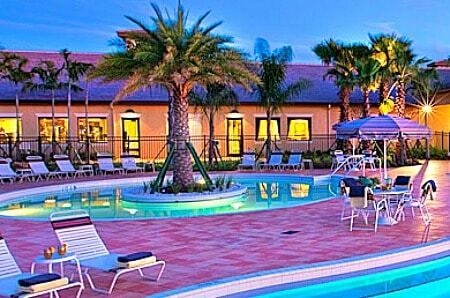 Heritage Pines Country Club Price-$, Size-Medium at Hudson and within one hour to Tampa. North of Clearwater. Gated with variety of homestyles including villas. Lists rentals in community also. Pool, 18-hole golf. Audubon award. Resales. New Del Webb Bexley - Near the Tampa metro area but with natural surroundings - Gated community of planned 850 single homes - Planned Meridian Clubhouse, pool, bocce, recreation, and amenities - starting in $230's. The Groves Golf and Country Club Price-$ to $$, Size-Medium - Land o Lakes - Gated community 20 minutes north of Tampa. Golf. Resales. Heritage Springs - Trinity - gated country club community with golf, tennis, clubhouse and much more. 30 minutes to Tampa. 11345 Robert Trent Jones Parkway, Trinity. Terra Vista at Citrus Hills Hernando - 65 minutes North of Tampa - Single family and villas in a luxury country club setting with championship golf and spa activities. From mid-$300's. Timber Pines Over 55 Community Price-resales, Size-Large - Spring Hill in Tampa Bay area. Hernando County. Gated and minutes to Gulf beaches. Fishing in West Central Florida. This is a resident-owned, award winning community of 3452 homes and villas on 1400 acres featuring a country club lifestyle. Amenities include 54 holes of golf, walking/biking paths, tennis, resort-style pools, new fitness, woodwork shop, clubs and more. Single homes are not low maintenance but for additional fee from H/O fee, the villas can be low maintenance. 40 minutes to downtown Tampa. Wellington at Seven Hills - Spring Hill - Gated golf course community of singles and villas. 40 minutes to airport. Large community with many amenities. Resales only. You can find rentals here also. Glen Lakes - Price-$, Size-Small - at Weeki Wachee north of Tampa and Port Richey. Ask for Sylvia 1-800-222-9003. Villa and estate lots. Fishing, boating. *As determined by most clickthroughs in last 3 months. Also see: West Coast Florida for other west coast counties.